Mary Buscher, who works in the human resources department at Sammons Financial Group® Member Companies (SFG), was awarded The Knights of Columbus Award at this year’s Special Olympics Iowa Summer Games opening ceremonies. The Knights of Columbus Award is the highest honor given to volunteers of Special Olympics Iowa. Recipients of the award have demonstrated the spirit of Special Olympics through dedication and unselfish efforts. “We are lucky to have a friend like Mary Buscher in our Special Olympics family. I couldn’t think of anyone more deserving of the Knights of Columbus Award this year than her,” stated John Kliegl, president and CEO of Special Olympics Iowa. Special Olympics Iowa considers SFG a Champion Statewide Partner due to the volunteer efforts of employees and the funds donated to Special Olympics since 2012. SFG and its member companies, Midland National® and North American Company for Life and Health Insurance®, are dedicated to supporting various causes and organizations such as Special Olympics Iowa. 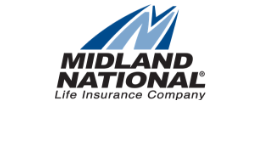 Learn more about the life of Midland National employees and more company news on LinkedIn.